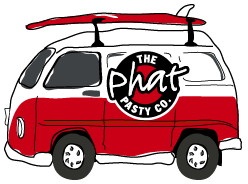 A traditional range of quality pasties, hand-crimped in Cornwall. Supplied loose in uncooked, frozen format for bake off. 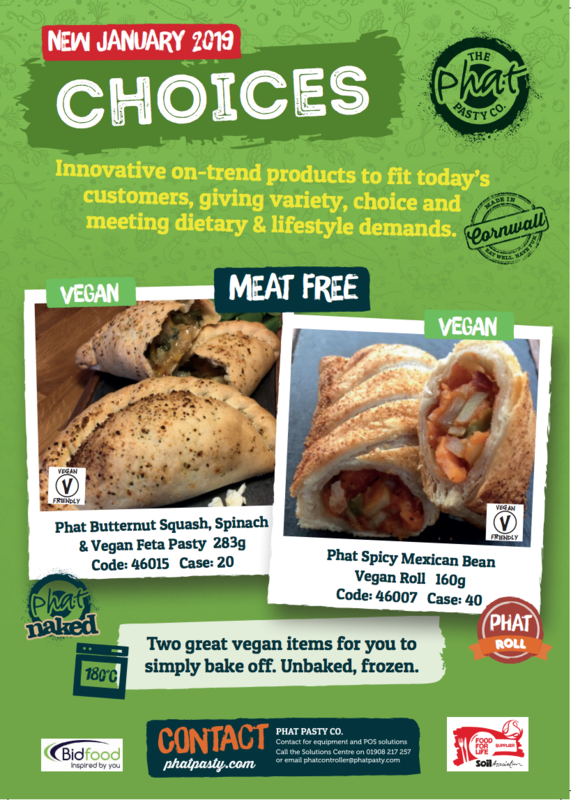 Range includes PGI Traditional Cornish pasties plus a selection of speciality pasties with Phat’s unique fill recipes and flavours. 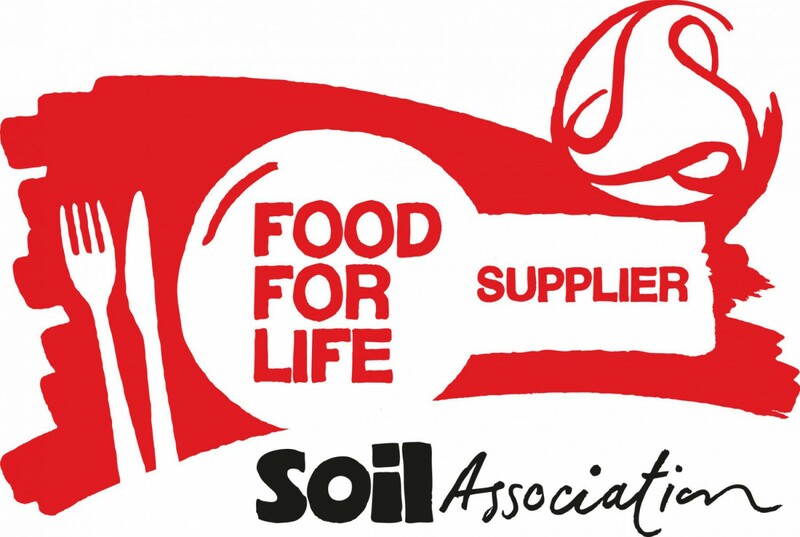 British Farm Assured and Red Tractor meats, Soil Associations Food For Life accreditations. Uncooked, frozen pasties for bake off. Traditional Cornish and speciality pasties hand-crimped in Cornwall. Supplied unbaked / frozen. Simple to bake off in a conventional oven. 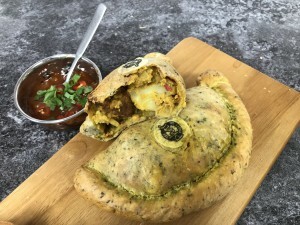 A traditional pasty is the ideal hand held hot snack on the go or can be served as a plated meal option. Ideal for holding hot in a heated display cabinet for. Perfect as either a hand held takeaway snack or as a centre of plate meal solution. 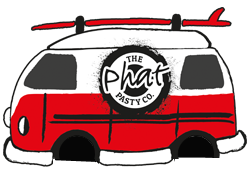 The Phat range delivers provenance, heritage and a quality artisan product. Red Tractor beef, chicken and farm assured pork, with a focus on locally sourced ingredients. 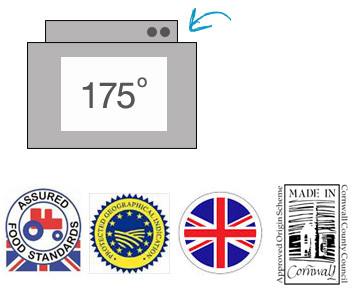 Traditional Cornish Pasty is PGI Certified – Handcrimped, made in Cornwall. 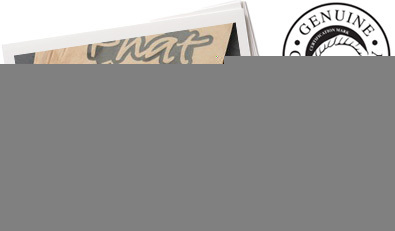 Ideal for operators looking for a range of traditional hand-crimped pasties. Artisan range with Red Tractor – Farm Assured meats and locally sourced ingredients. Cook from frozen. For best results, use a conventional oven with fan. Preheat oven. These are guidelines only as appliances may vary.